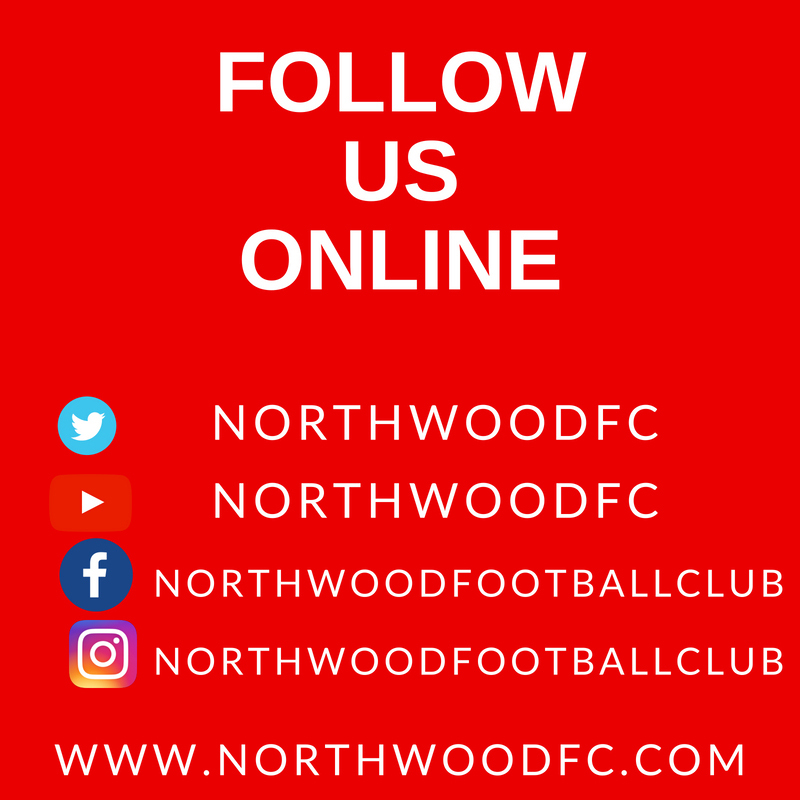 Northwood notched their first success of the season with this narrow victory over near-neighbours and table-toppers Uxbridge who could boast a 100% record going into the game. 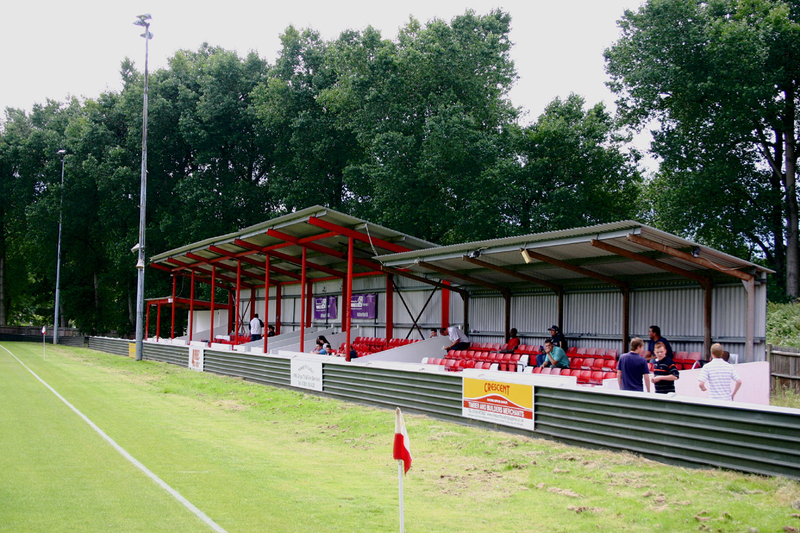 The game had added spice with the return of former Woods manager Tony Choules with his current side, which included six ex-Northwood players in their starting line-up. Colin Payne brought new signing Abdul Yoki into his team, while Simieon Howell and Elliott Buchanan returned from injury and illness respectively to form a new-look midfield trio alongside skipper Dean Clark, himself a former Uxbridge player. The match was just three minutes old when a Liam Watson goal-kick evaded the midfield and bounced to Buchanan who took the ball down and shot for goal in one movement, but it flashed just over the crossbar. Uxbridge hit back with Charlie Hill, a Northwood target in the summer, finding Danny Yeoman on the right and his cross saw David Thomas steal in ahead of Terry Hogan but just fail to connect with the ball. But it was Northwood who were enjoying the better of the early exchanges with Jerome Hall finding his form. He latched onto a Clark ball and shimmied past two defenders before firing a shot which was straight at Rob Bullivant, who collected comfortably. The crucial goal came on 17 minutes. Jermaine Hamilton raced onto a through all down the left and looked like going for goal only to knock in a cross which Uxbridge failed to clear and Hall applied the merest of touches but it was enough to send the ball spinning just inside the post, giving Bullivant no chance. 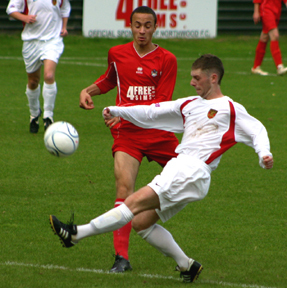 Three minutes later, Simieon Howell, who was carrying out an excellent man-marking job on danger-man Mark Nicholls, broke forward and struck a shot from 25 yards which wasn’t far wide, and then another quick break saw Yoki cut in and flash a ball across the face of the goal and only just past the far post. Uxbridge came close to levelling the scores after 24 minutes when a header out by Hall fell to Yeoman and his shot looked goal-bound before Clark managed to divert it with a header over the crossbar. 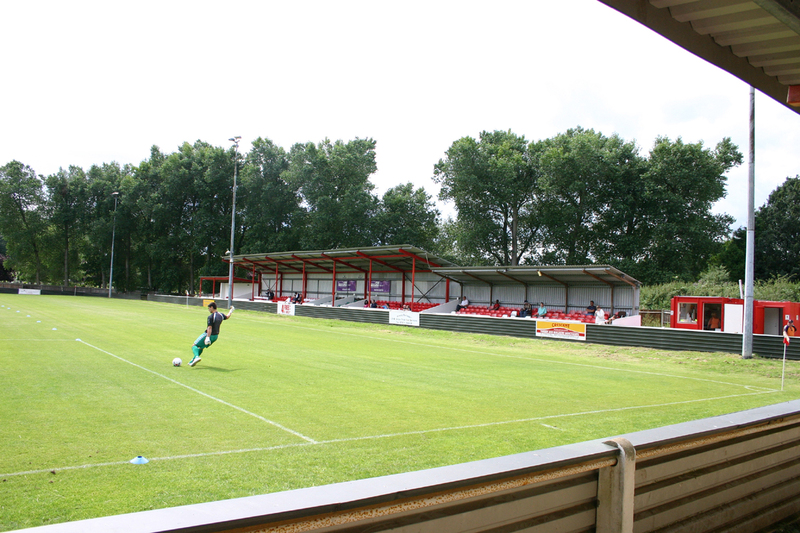 From the resulting corner, a Nicholls corner found the head of Mark Weedon but it was again diverted wide. Nicholls picked up his standard yellow card for a petulant flick at Watson after he had gathered a cross after 31 minutes, and Hill had a shot not far wide after a lay-off by Lee Tunnell as Uxbridge began to threaten. Just before the break, Mark Dennison was lucky to escape without a caution after a bad tackle on goalscorer Hall, who was forced out of the action and replaced by Lee Holland for the second-half; Yoki moving into a more forward position. 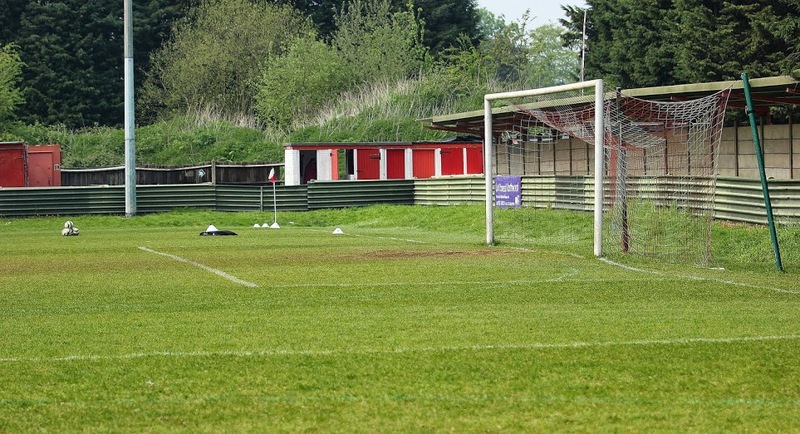 The visitors rallied early in the second-half, forcing a series of corners, from one of which Weedon would have been disappointed to head wide when in a good central position. Then a slip by the otherwise excellent Jazz Rose, let Tunnell run through down the right but Watson was well-positioned to block his shot at the near post. Bradley Hewitt then replaced the injured Adam Theo on the hour and was booked five minutes later for a tackle on Yeoman. The midfielder’s reaction may well have been punished on another day. After 67 minutes a corner was punched away by Watson but only out to Hill, who hit a pile-driver which Hogan somehow managed to block with his head. That typified the spirit with which the Woods were playing this cup-tie and a downhearted Uxbridge rarely threatened after that. With fifteen minutes remaining Clark chipped a good ball across from the left which picked out Buchanan who has stolen forward, and his first-time volley saw Bullivant save well. John Lawford replaced the tiring Yoki and his experience helped the side relax more in the closing stages. Hamilton went close with a surging run and shot after 79 minutes and then Buchanan raced through two challenges and shot only just wide of the post. Time was ticking away and the Woods still had a grip on the game, with Danny Murphy’s surging runs down the left adding to his superb defensive performance. After 87 minutes a good move saw Lawford link with Hamilton to play Buchanan in on goal, and he just beat Bullivant to the ball but lifted his shot wide of the target. Uxbridge’s final effort came just before the end of normal time when a long ball from Jordan Oldham found substitute James Pritchard in space, but his chip across the face of the goal found no-one and the chance was gone. 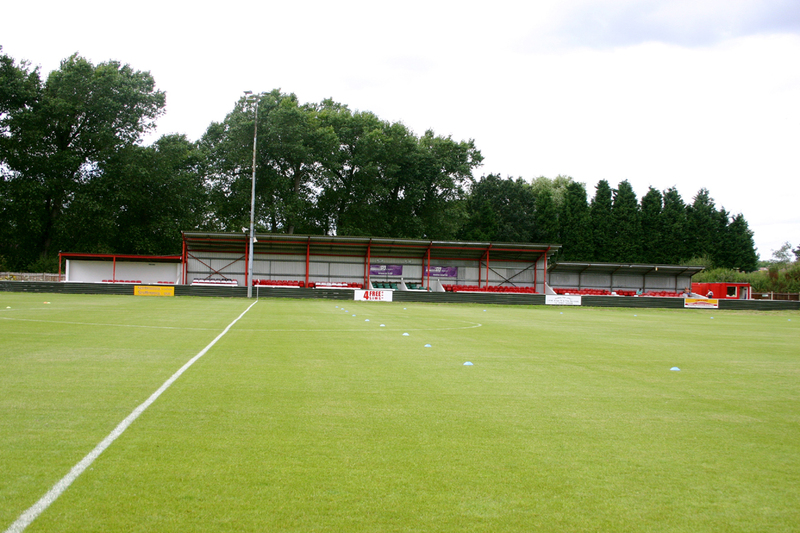 Six minutes of stoppage-time was comfortably played out by the Woods, whose confidence continued to grow throughout, and they will now be hoping to take this form into their league campaign, which continues against highly-rated Dartford next weekend. 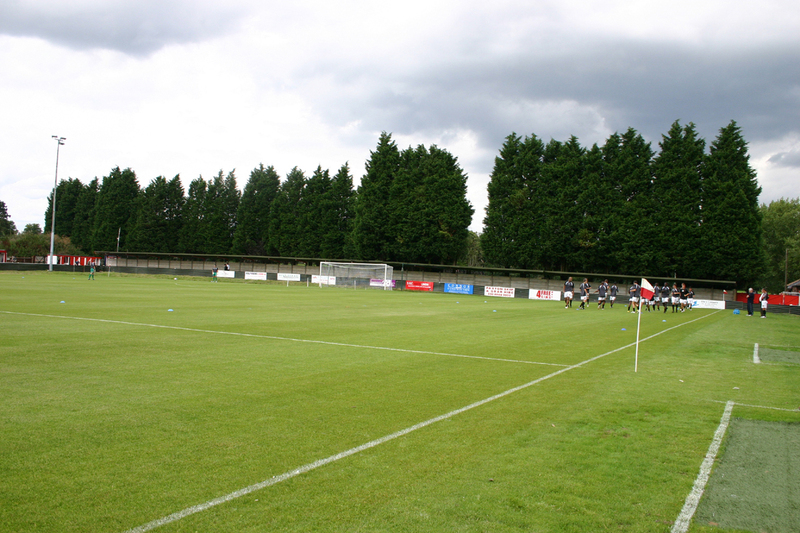 In the First Qualifying Round of the FA Cup, the Woods will now travel away to play at Ryman Premier side Boreham Wood, a club once managed by current Northwood boss Colin Payne. Not sure what Nicholls is up to here... Watch out Jerome! The Uxbridge players don't seem to want to know Abdulai Yoki!